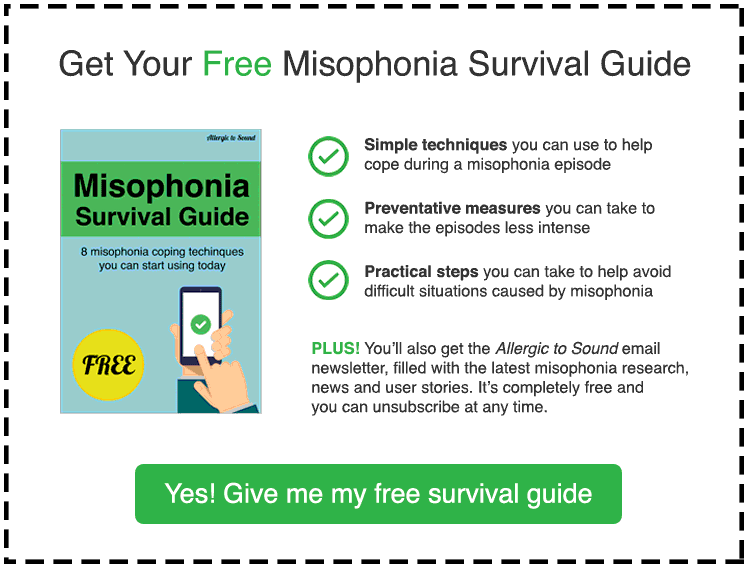 Right now the folks over at Misophonia International are offering Allergic to Sound readers 50% off the Spring edition of Misophonia International Magazine. Reading between the lines I’m pretty sure they’re offering this whopping discount because they consider you to be the most beautiful, intelligent and hilarious people on the planet. Anyway, do check it out if you have a moment. These guys do a fantastic job in spreading the word and the magazine is a cracking, informative read. If you’re interested in finding out about the latest cutting edge research and getting helpful, constructive commentary from real professionals out in the field, then this is essential reading. Enter the code: allergic2sound during the checkout process to get your 50% discount. 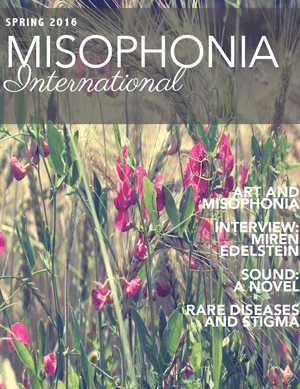 Just to be clear Misophonia International Magazine is a non-for-profit venture. The nominal cover charge goes towards their production costs. I don’t receive any kickback either – just a vague promise of biscuits if ever I’m stateside. 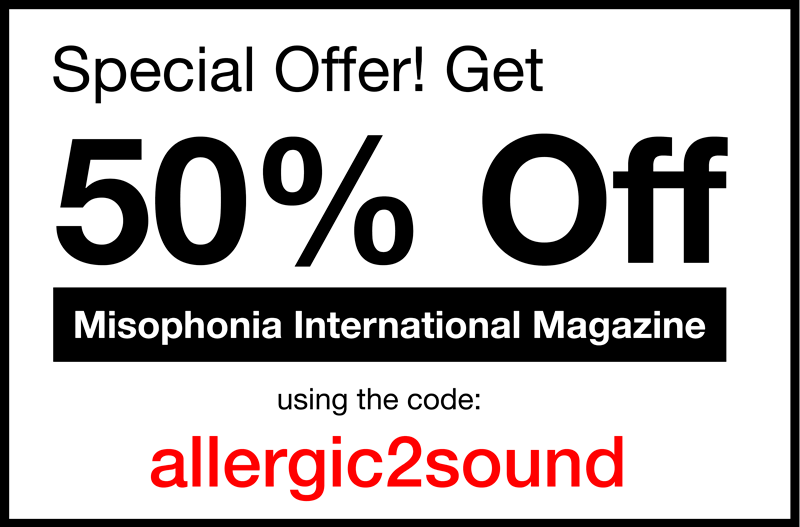 Remember to enter the code: allergic2sound during the checkout process to get your 50% discount.